I am a massive K-pop fan! Like, massive fan. I own merchandise. My partner complains because he has listened to nothing but K-pop by proxy for months. I’m going to a K-pop concert in October to see one of the most famous Korean Idol bands of recent times, BigBang. So I know about and deeply appreciate the Korean Wave. The Korean Wave, called Hallyu in South Korean, is the term used to describe the phenomenon of pop culture in South Korea becoming increasingly and extremely popular across the globe (Ryoo, 2009). Three of their major exports are TV shows, movies and music, but also include video games, fashion, food, beauty products and elements of the language itself. The exportation of Korean dramas kick-started the popularity of Korean commodities in other Asian countries. This was closely followed by Korean cinema, which dominates the South Korean box office, making it one of the only countries in the world where Hollywood films aren’t as popular as local films. To illustrate just how popular Korean cinema has become, you need only look at Oldboy, a 2003 Korean film (one of my favourite films of all time – I told you I deeply appreciate the Korean Wave!) that is currently voted at 69th in IMDB’s Top 250 Movies with a rating of 8.4 out of 10, sitting on par with critically acclaimed movies like Citizen Kane, American Beauty and Django Unchained, and was remade by Hollywood in 2013. Also notably, Hollywood also teamed up with South Korea in 2013 to produce Snowpiercer – transnational film anyone? Moving into music, Korean Pop Music (Kpop) is massive across the globe. Here in Australia, we have SBS Pop Asia on SBS (Sundays, 9am if anyone is interested) which plays a lot of Asian music, and a large percentage of that is Korean Music, in 2012 we hosted a Super Kpop Concert to celebrate 50 years of Australian and Korean relations and super groups now have such a big fan base here they are touring more often. In fact, BigBang’s Sydney concert sold out in minutes and another show had to be announced to accommodate for the fans. On a worldwide stage, Kpop is front and centre. Girls’ Generation took out “Video of the Year” at the 2013 Youtube Music Awards, and their competition were extremely famous stars such as Justin Beiber and Miley Cyrus. In 2014, G Dragon won Entertainer of the Year and Album of the Year at the World Music Awards. That’s right. The WORLD Music Awards. But why is Korean pop culture so popular? Why has the Korean wave taken the world over like a Tsunami (see what I did there)? America has numerous conventions every year to celebrate everything Korean, but why? It boils down to the hybrid nature of Korean pop culture. Ryoo (2009) sums in up with the statement that “the success of the Korean Wave is closely related to the ability of South Korean culture and media industry to translate Western or American culture…”. The Korean dramas that first gained momentum outside of Korea used themes like family, love and changing societies, which resonate within Asian cultures but can also be empathized by Western cultures. Korean film is made to high quality, using Hollywood effects and ideals and combining them with deeply intricate storytelling and artistic flair, which makes the films easily accessible to all kinds of people across the globe. And Kpop is slightly more genuine than and sounds somewhat different to Western pop music, but is incredibly catchy and enjoyable. The Korean Wave is so powerful, it is even penetrating the dictatorship of its closest neighbor North Korea, which really drives home the fact that Hallyu is not slowing down. 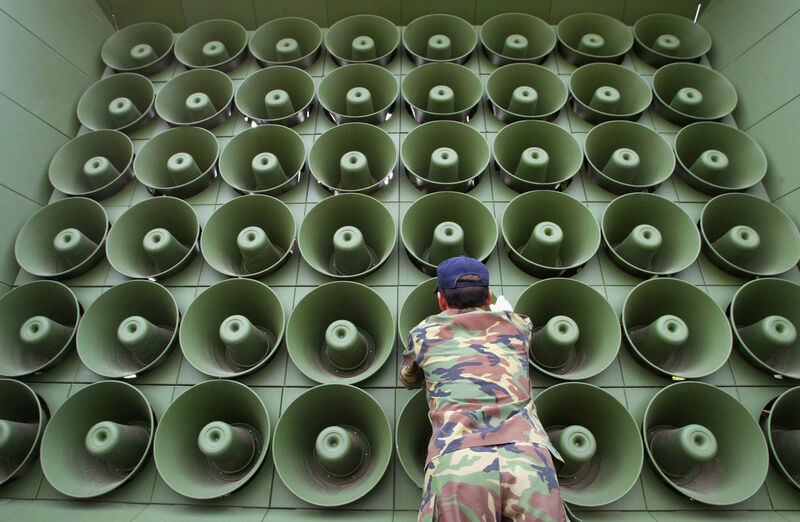 Like, for real, South Korea will, on occasion, blast Kpop through massive speakers at North Korea, because AWESOME. Ryoo, W. (2009). Globalization, or the logic of cultural hybridization: the case of the Korean wave.Asian Journal of Communication, 19(2), 137-151.